Onstage, he waited as a nervous host flambéed the introduction: “He loves a good run! His favorite ice cream is pistachio! And his favorite movie is ‘The Shawshank Redemption’! . 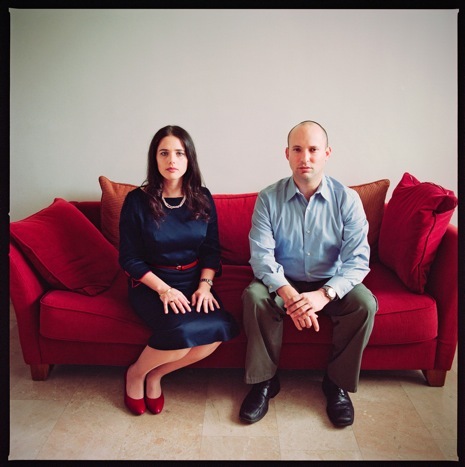 . . Ladies and gentlemen, Mr. Naftali Bennett!” Bennett acknowledged the applause and stepped to the lip of the stage. He is modest in height and wears a plain open-neck shirt and khakis. Like many Israeli men faced with the first sign of male-pattern baldness, he mows his hair close to the skull. He wears a small kippa—knitted, like those worn by religious Zionists and modern Orthodox, but not large and knitted, like those of more radical settlers among them.